As I have stated before I have been struggling a little for inspiration recently for our albums. Todd Terje was a great album but it was new to me and I think that these albums should be something that we love and share. I had a number of new, well reviewed albums that I was considering but am glad that you directed me to something that I do actually love. (For Guys sake) – a number of years ago I seperated from my then wife, found a little one bedroom flat that I paid for on top of my mortgage and horrible legal bills. I had no money, no TV but the most intimate time of my life with music. I had not before or since listened to so much music and in doing so discovered loads of artists that I still love now. Yes, this period has been romanticised in memory and therefore any music I loved then was loved through musical-rose tinted glasses … but I count Devendra as an artist that I really got to know during this time. Back then, he looked like an annoying hippie-cliche but I had no knowledge of this due to no TV no personal computer (10 years ago I think). He wrote mainly solo acoustic songs about odd things. 2 minute tracks that amused as much as they offered musically. 2 albums ‘Nino Rojo’ and ‘Rejoicing in the Hands’ mark this period and his prolific output. It all went a bit down-hill into odd pastiche and silliness. Much of this love of pastiche and silliness is on full display throughout Mala. However, the songs are strong and pull the listener through. For me the questions that you will need to answer before committing to liking this (or not) is (1) does it overcome a tag of ‘novelty’ (2) do you care enough about how he got to this album without the history with him that I have. We forgive artists we love for many errors and in doing so loose a frame of reference, the objectivity to truly critique. I was going to have this as album of the month ages ago but held back because of the above but recently have listened to this album loads. Partly as I’ve driven 1000s of miles and partly due the weather. This is a great summer album. It is, without doubt all over the shop, there is soft-shoe-shuffle, 50’s crooner, German-House pastiche all interlaced with his historically standard acoustic solo fare. For me what ties this together is Devendra’s charisma, humour and the fact that the songs are strong, regardless of their ‘genre’ and never out-stay their welcome. Enjoy. Listen without prejudice. Play it a few times and it will dig in. I find it great driving music or general pottering music. I LOVE IT. LOVE IT LOVE IT LOVE IT. I know I’m going to love it even more. I have his first album but nothing since. Will report back more when I’ve heard it a few more times. A GREAT choice, Brother Joey. Cheers for the background and detail Brother Joseph, again – broken record – I’m only ripping this now and trying to get this onto the phone. I do have to admit a prejudice here. 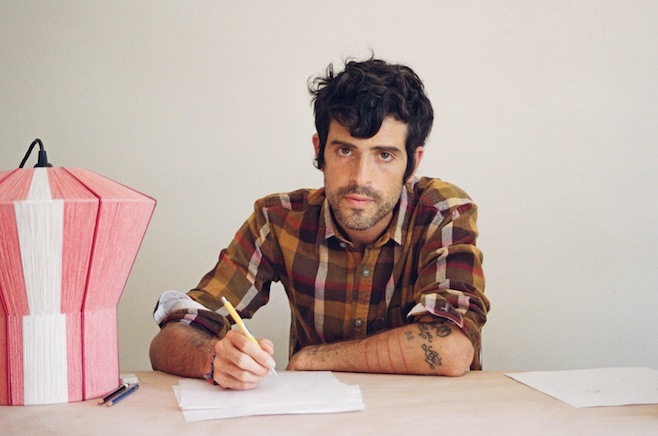 An ex and another friend have both played me music by and talked about Devendra Banhart over the past ten years, and they painted a picture that put me off really listening to his music. It was the sort of musical character that puts me off immediately, so i’ve got to get over this as a starting point. As an FYI, I’ve actually seen him live, supporting Arcade Fire in the o2 a while back. I wasn’t really blown away, in fact I went and stood at the bar for the 4 songs I heard. So, a challenge, but I love a challenge. Glad you’re liking it David. @ Brother David – Oooof. That sounds like an uphill struggle! Its very difficult to overcome such prejudices. I’ve always found it near impossible. I’ve seen him live twice, the better performance by far was with this material. I love it more and more. I really do. The songs sound gossamer light to start with, but you realise they have songwriting muscle, the more time you spend with them. Other currently silent brothers, what’s your take? Yeah come on brothers! Glad you’re enjoying it Brother David. I thought you would but I feared …. Oh, hang on – @brother David – sorry I wrote your name instead of Guys in my last message! Hi guys. Once again, apologies for the late and sporadic responses. I’ve not had the best of Augusts, so music really isn’t something that’s been on my mind. However, i’ve had a couple of listens to this, and I have to admit, against all my prejudices, it’s been quite pleasant. There’s some lovely songcraft, and variation. Bits remind me of all sorts – Harrison melodies, folky stuff, bits of Bolan/T-Rex (though that gets into pastiche a bit sometimes, and I was never a fan of Bolan anyway), some Grizzly Bear, but some of it does feel a bit overdone. I’ve had a few cracks though, and I’m still intrigued. I’m just trying to find the time and motivation for music. It’s not really top of my list at the moment, so please bear with me. I think it’s me for Sept isn’t it? I best have a think, I haven’t a clue. Sorry to hear you’ve had a crap Summer Brother Guy. I know what you mean about sometimes not being in the right mood for music … sometimes this last a while for me but then BAAM. Something usually picks me up and makes a big musical dent. I hope this happens for you and the rest of life tows the line. Glad you’ve found something to enjoy in the album. I did find it overdone to begin with, went away and come back to it and it just hit the spot perfectly. First and foremost I like this album.. it’s been a solid selection of mine over the last month. I like how he moves about on this album and keeps it fresh as I think many artists in his ilk seem to do an abum with everything sounding the same. It’s a good album to have on in the car or in the house, and I enjoy it. If I were to have any issue with it there are no songs that jump out and grab me. Perhaps it’s because I have a few of his albums already and I’m used to him or maybe it’s that I have many albums of artists that sound like him. Is he breaking any boundaries? For me it’s a no, but I’m still really enjoying this album. Good stuff. Glad it’s playing a role for you. I lost my cd so only tend to listen in the car, it’s great car music. I’m afraid I’m finding this album is wearing thin for me. What I found interesting and intriguing is wearing off. There’s too much of a mish mash for me and seems like pastiche the more i listen. Even pretentious. I hate to say it but I think this is going the wrong way now…. No need to apologise Brother Guy. I hear your comments and can understand them, I mentioned this potential reaction in my write up. It’s interesting, next time I will predict everyone’s reactions. I though you would not like it, Nolan would be moderately impressed and David would either loath or love it. Tun pruned out to be the latter for him. I guess we’re all pretty predictable which does make it hard choosing albums.